I am delighted to welcome you to our school’s website. Our school motto is ‘Learning, Caring, Sharing’ and these are values that we hold central to everything that we do. We are incredibly proud of our school and the way we work in partnerships across the community to achieve wonderful things for our children. We welcome children to our school from three years old in Nursery and they can continue their learning journey with us until the end of Year Two. 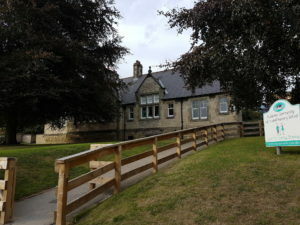 At this time, the majority of our children transfer to Pickering Community Junior School. Both schools work closely together to ensure a seamless transition. There are many things to celebrate about our school – from consistently strong results in statutory assessments to the many wonderful, fun and creative things that happen in and around our school on a daily basis. The best way to find out more about us is to visit in person.